It's difficult to do the In Bb 2.0 project justice in words. Essentially, it's a bunch of YouTube videos that you play at the same time. Let me explain, then go play with it. 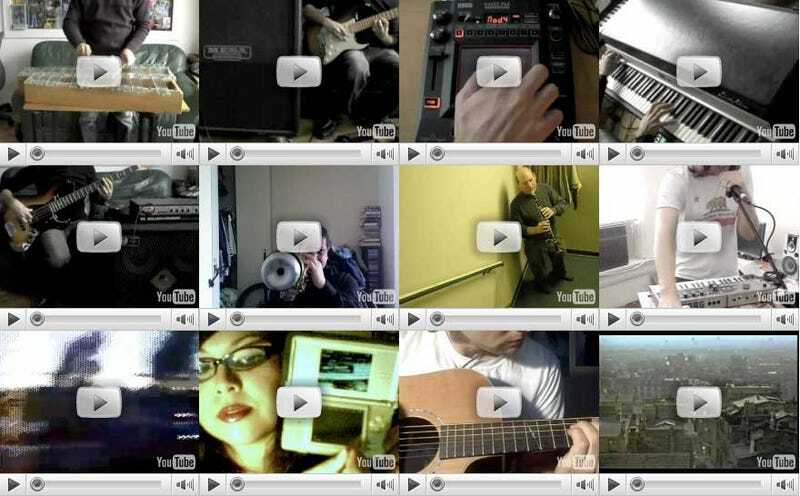 The site is a grid of various YouTube videos, each a couple of minutes in length, each showing a musician playing a simple Bb major texture. You can play them in any order using as many as you like, starting some as others stop or having them all go at once. It's remarkable. Seriously, don't take my word for it, go check it out now. You won't be disappointed.